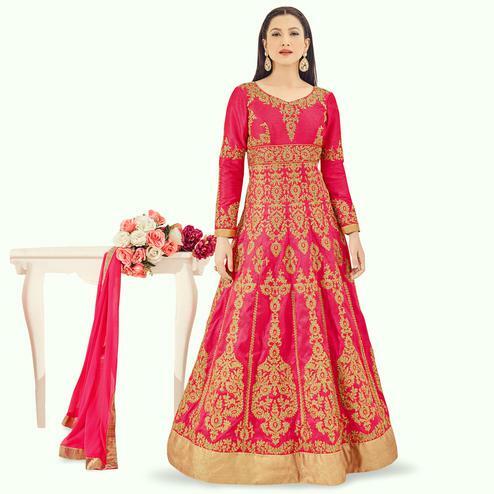 Featuring pink floor length kameez designed using cotton and banarasi silk fabric and enriched with elegant design heavy embroidered work done at neckline sleeves and broad part of the border. This semistitched outfit also comprises matching color santoon bottom santoon lining and chiffon dupatta having four side golden lace border. You can wear this outfit for your friend's engagement ceremony or cousin's wedding function. Get this dress before it goes out of stock.